Kaneko Sangyo portable toilet is small enough to fit inside a car! Kaneko Sangyo Co. Japan has developed a portable toilet ”Kurumarukun” for use inside a car that totally conceals the user with a curtain. 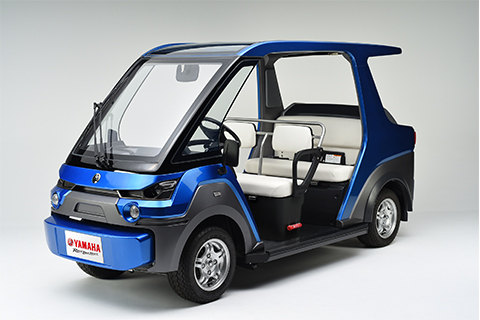 The new ”Kurumarukun” toilet is the first ever model of its kind small enough to fit inside a car, the Aichi Prefecture-based manufacturer of plastic car accessories said. Users are required to assemble a cardboard toilet bowl and to fit a water-absorbent sheet inside. The toilet, to be set up on the back seat of a car, comes with a curtain large enough to totally conceal users and a plastic bag to tightly seal human waste for later disposal. 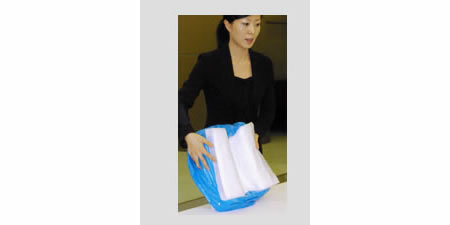 Prior to assembly, portable toilet ”Kurumarukun” measures 60 centimeters long, 38 cm wide and 2.5 cm thick and can be carried inside a suitcase, the company said. Kaneko Sangyo is touting it as a commode that will come in handy when you are caught in a traffic jam. The portable toilet ”Kurumarukun” from Kaneko Sangyo will be available in Japan from Nov. 15 for approximately 4,725 yen ($41).